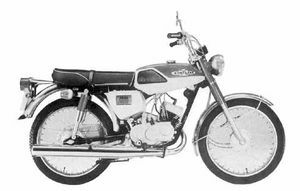 The Kawasaki GA was a street motorcycle manufactured by Kawasaki in several variants. The variants are: GA1 (1969-1970), GA1A (1971-1974), GA2A (1971-1974), GA3 (1969-1970). 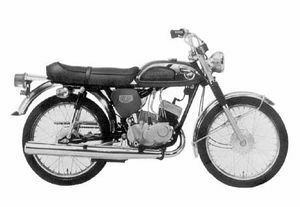 The GA was an excellent starter motorcycle with its light weight and simple design. The GA withstood abuse extremely well including over-revving of the engine without seizing-up. 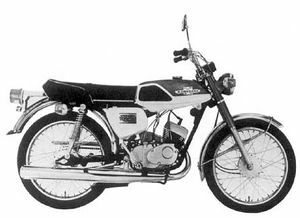 The original model of the GA series. 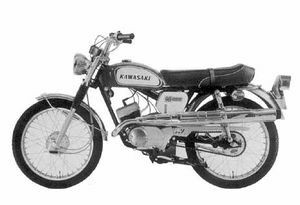 Has double cradle frame and De Carbon(Sealed-in nitrogen) type rear shocks. Made from 1969-1970. Major Changes: Color, marking, front fork, and seat. Modified version of the GA1, with five gears, different coloring and chain case. Made from 1969-1970. Street scrambler version of the GA2 with universal front tire, and upswept exhaust pipe. 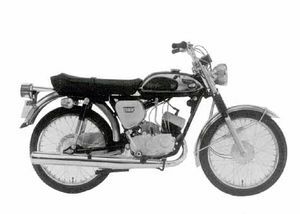 Made from 1969-1970.